Cover Reads: Image Only: Santa Kissing A Woman. 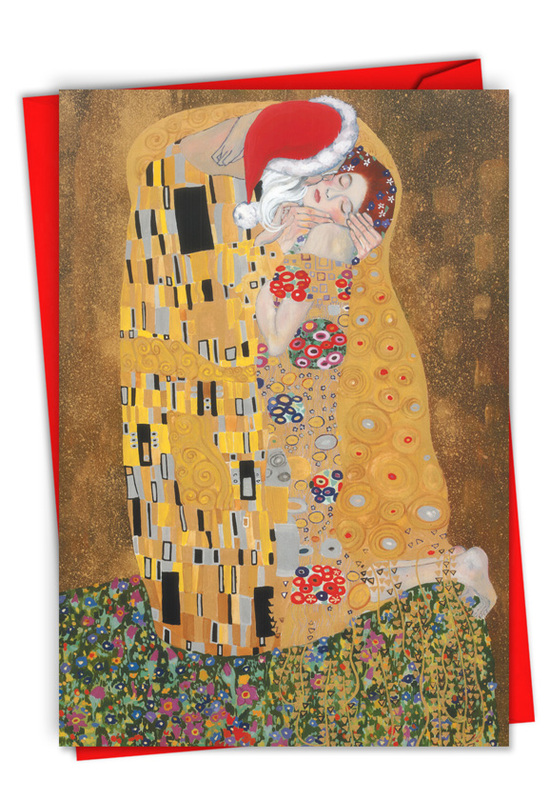 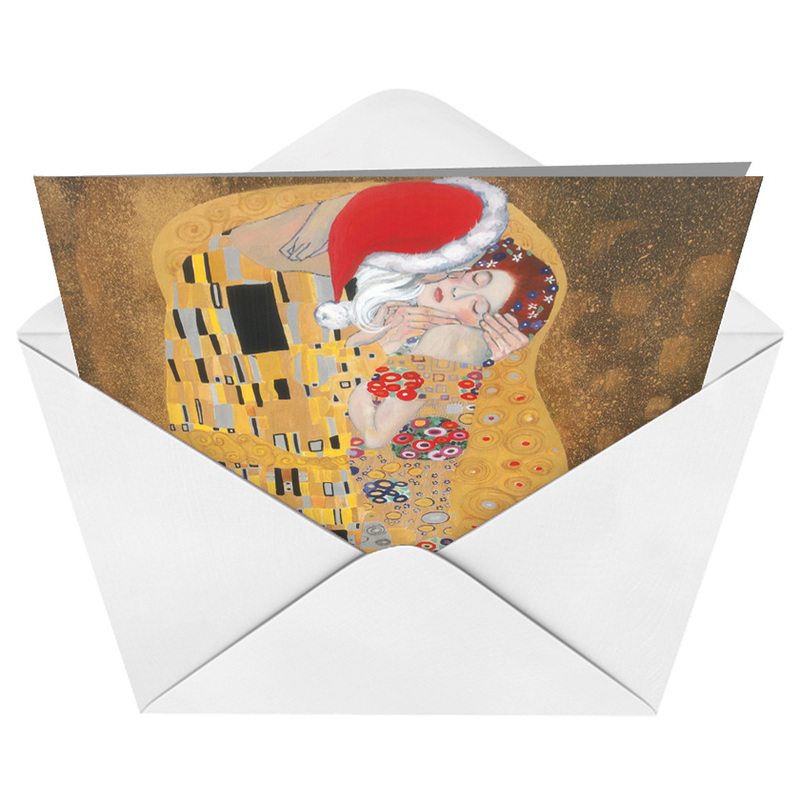 We're not sure if Gustav Klimt knew his painting, The Kiss, would be plastered in every coeds' college dorm room, but we're now offering The Kiss to fill every coeds' Christmas stocking, too. 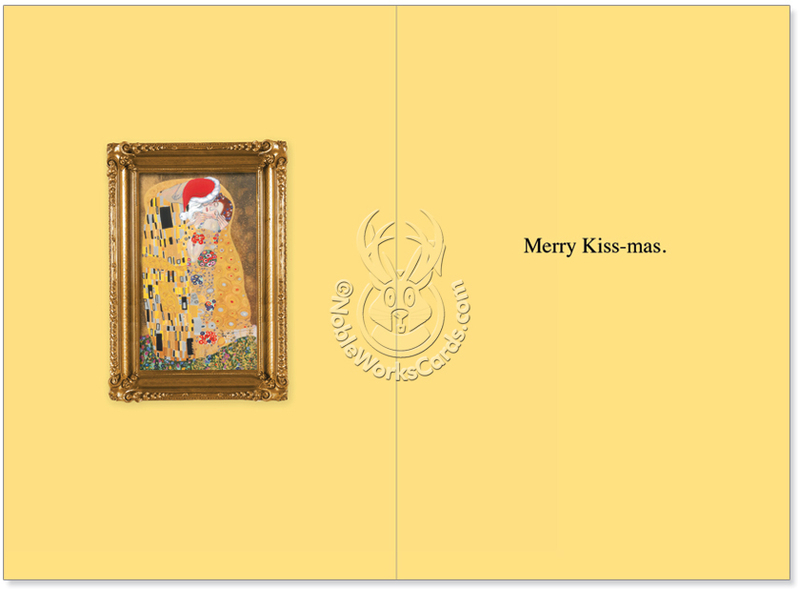 Gustav-approved, we assume, this artistic holiday card is perfect for art-lovers, sorority sisters or anyone who enjoys a good under-the-mistletoe smooch.